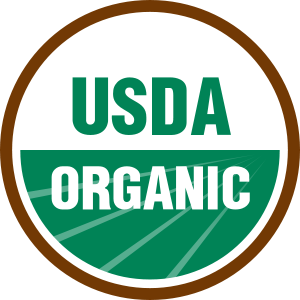 The Philly Food Feed: "Simple Minds Will Look at the Label and Nothing Else"
"Simple Minds Will Look at the Label and Nothing Else"
The standards for Organic certification are broad enough that if a grower wants to cheat, they can. Furthermore, while what you are buying at the grocery store may be Organic, that doesn't mean that what you are buying is organic. To clarify, you may be buying a box of Organic cereal from Cascadian Farms that did not have any synthetic fertilizers added to its ingredients, but an Old World forest could easily have been cleared to grow the "Organic" sugar that makes the cereal oh so sugary sweet. Now granted, it still may be Organic in that again, there are no synthetic fertilizers added and weeds are pulled by hand, but as far as the true nature of the organic movement, the guidelines just don't cut it. I only mention this article because people ask me (mostly family) why I am so hung up on local foods and the farmers' markets. Besides the freshness and the taste, there is something else. Most of the farmers I buy from are not certified organic (although some are). Some practice IPM (integrated pest management), or just don't use chemicals and only use natural fertilizer. Just because they don't have a government certification doesn't mean their food is any less safe. On the contrary, I feel more comfortable with the farmer who can explain to me the merits of IPM as I am buying an apple from his stand than with an Organic label on a box of cereal shipped from California. There is more to organic to me than a label; organic is a movement. Its knowing that the primary source of energy in my Bok Choy is the sun and not the oil expended shipping it from China. The same oil that is currently spilling into the ocean, by the way. Its a movement that involves me meeting and knowing the person who grows my food. The same person who knows my wife and my son. Its a movement that gives me a choice between big agribusiness that, due to current marketing trends, buys an Organic label for their box, regardless of how much forest was cut in order to provide organic farmland. There are three things vital to survival: Water, Air, and Food. People need to know what they are eating, how its grown, how it gets here...all of it. Don't just be bought off by a label people. Know where your food is coming from. Don't let Organic be the next "fat free", "low-carb" trend with nothing to back it up but empty promises. Thank for this timely post. Well written and spot-on! I like to think of our farm as beyond organic, if you know what I mean. My father and brother have had our farm certified since 1991 but I've just recently started taking produce to market. It is so frustrating to have people say "organic should be cheaper because you don't have to buy all those chemicals." That, after I've spent all day in the garden and my back hurts and my nails are ruined and my feet ache. The problem is that Americans have become accustomed to cheap food because of the huge subsidies agribusiness gets. Americans spend less of their family budget on food than at any time since the Great Depression. The only way to have cheap (disgusting) eggs is to have very unhappy chickens. I love your post and your blog here and I'm going to link to it again from our farm's facebook page. Raub-Rae Farm...by the way. We're small but doing things the right way.